Wow it must be so intense in that courtroom!!!!!!! 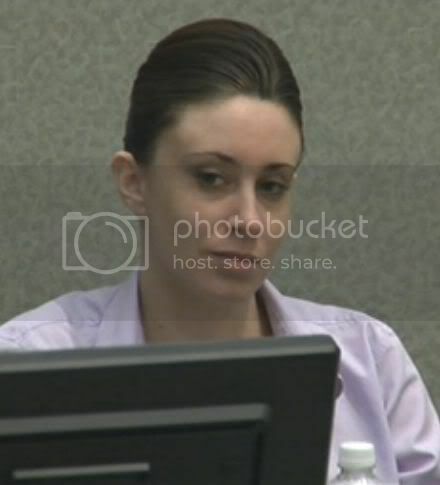 KC laughing about "pigs in a blanket" comment - just seconds after testimony about Caylee being wrapped in a blanket. Hi Monkeys!!! I came in late but just in time to see this moron being spanked by Aston!!! Go for it Jeff. Be ruthless. Show no mercy! ICA didn't!!!!! JA : Why didn't you wrap your pigs in a blanket? He just endeared himself to the jury with that by letting up a little on this guy. This witness reminds me of John Cryer physically, and his mannerisms and voice. He really doesn't know how to answer Jeff..Jeff has to force feed him the info and then he has to admit yes..that is a possibility. lmao! He reminds me of that cross eyed bug guy playing checkers in Silence of the Lambs. The one that Clarice goes to, I think his name is Pilcher? Omg I just looked him up. Paul Lazar is his name. Huntington totally reminds me of this dude lol! You got that right OWNED! Oh Ashton is letting him know that perjury is very close. So, I am confused. I thought the theory was caylee died, was put out back for a few days, then moved to the trunk, then to the dump site. So, wouldn't the bugs, if present and able to bypass 3 bags, be in the back yard? Then, when she moved the body, they moved on? I thought the witness's reference to Caylee as road kill was gross. Duck the question creep, lie, destroy what little credibility you have left. Ashton: Why didn't you wrap your pigs in a blanket?? Or pigs in a blanket in a bag? You agree this is not an accurate description of what happened with Caylee, right? You've only included one of the many variables that were present with this case, haven't you? You've never had any experience with a body in a trunk? One study? Based on that one case study, you're reaching conclusions? Why couldn't a trash bag exclude early colonizers? A note to Casey ... that is your witness that is being destroyed on the sitness stand. Which means that the first 5 hrs of the day and all that expert tesyimony was for naught. Kepp laughing casey ... all the way to the the conviction and needle. How will the jury ever believe anything that comes out of the DUHfenses lying mouths ever again???!!! Oh my gosh!!! Is this guy walking the edge of pujury -- or is he tightroping? His deposition "buried" him and he knows it. Page created in 10.15 seconds with 23 queries.